About a year ago, I bought a skirt (pic below) at Vinnies. I think it was six or seven dollars. I didn’t buy it to wear – it was ridiculously long (109cm) and had a tiny waist (70cm!) but I really dug the fabric. 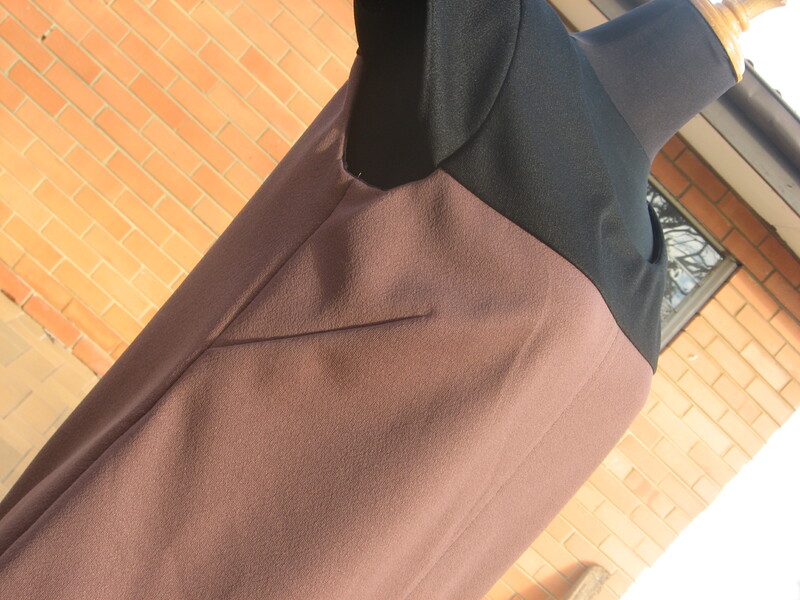 It was a nondescript latte colour in that heavy 70’s knit fabric – I think it was referred to as double jersey. 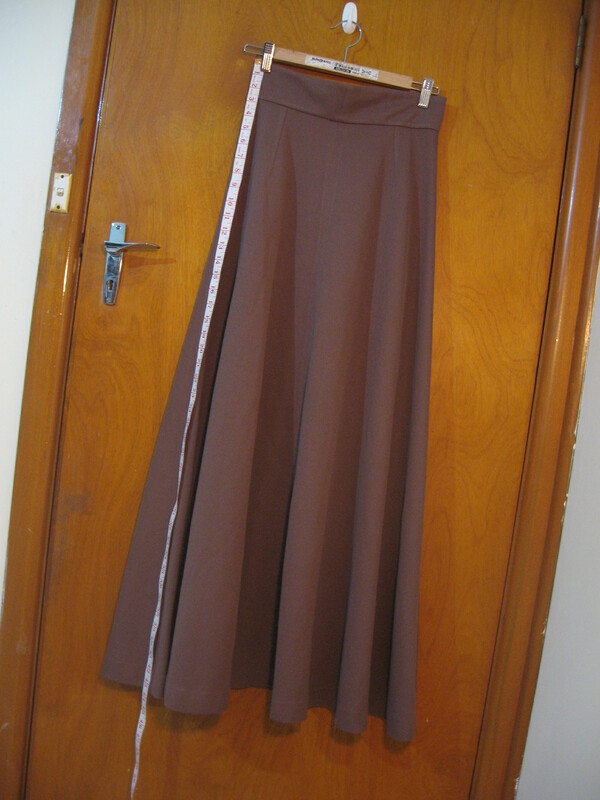 It was a home-made skirt, so no overlocking to unpick, and the length meant I had plenty of fabric to play with. I figured I would have to buy a piece of heavy wool crêpe to be the contrast fabric. That was until I walked into a Salvo’s Store last weekend and checked out the fabric remnant rack. What are the odds? 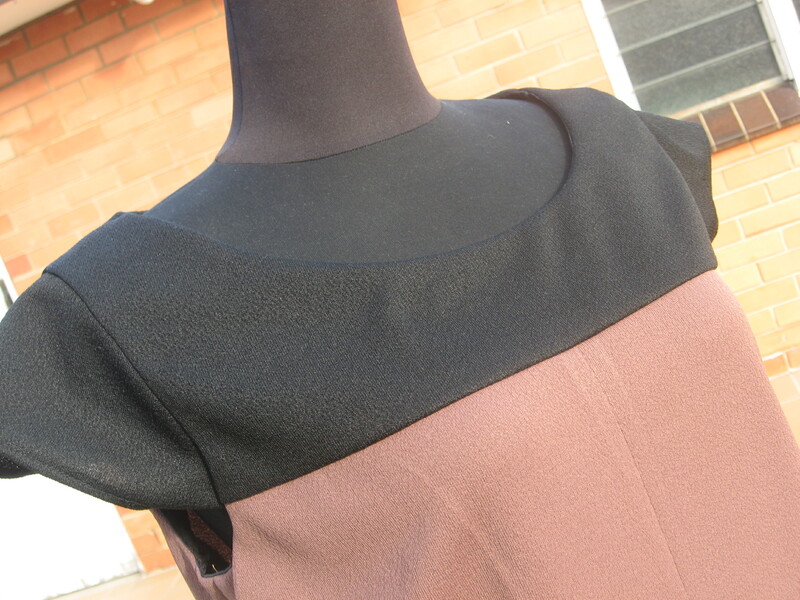 A square metre of the EXACT SAME JERSEY FABRIC as the skirt, in black. $1.99, thank you very much. Two different op shops, in two different cities, in two different states, no less. Clearly this dress was meant to be made. And so without further ado I got to work! 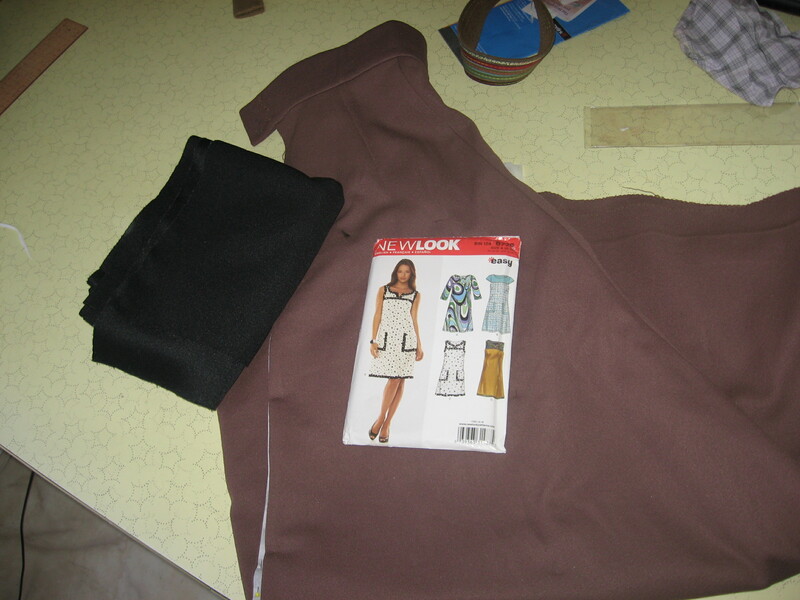 I whipped out my New Look 6779 pattern (which I had used previously for the reversible dress, so I didn’t’ have to mess around fitting it), and used the skirts’ centre front and back seams as the front and back centre lines for the dress. 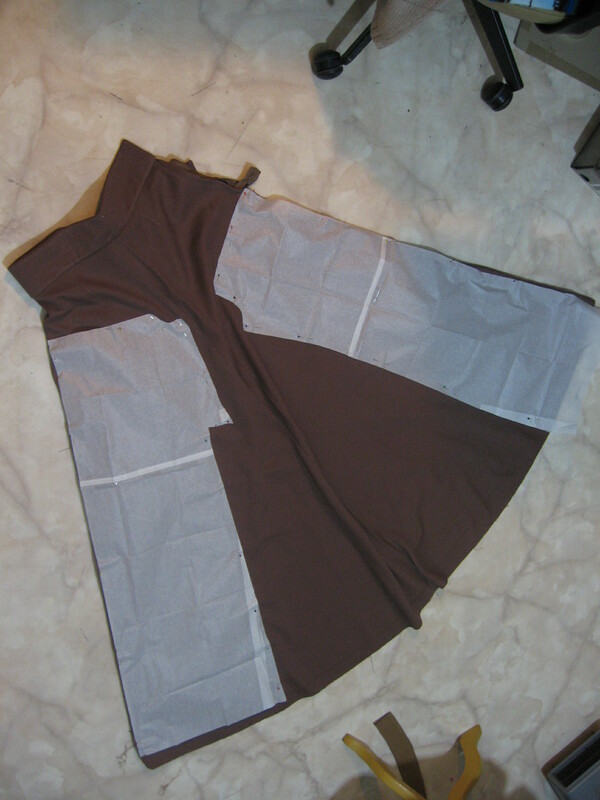 The dress pattern already featured the contrast yoke, so I just had to create a pattern for the bottom block, which I did by measuring up from the hem. The making of this dress included a minor adventure wherein I went on an expedition to the granny flat to dig up some poly-silk lining fabric for the facings, managed to get trapped in there when the door got stuck shut and had to climb out the window; good thing I was wearing trakkie daks at the time! Then I just threw it all together! 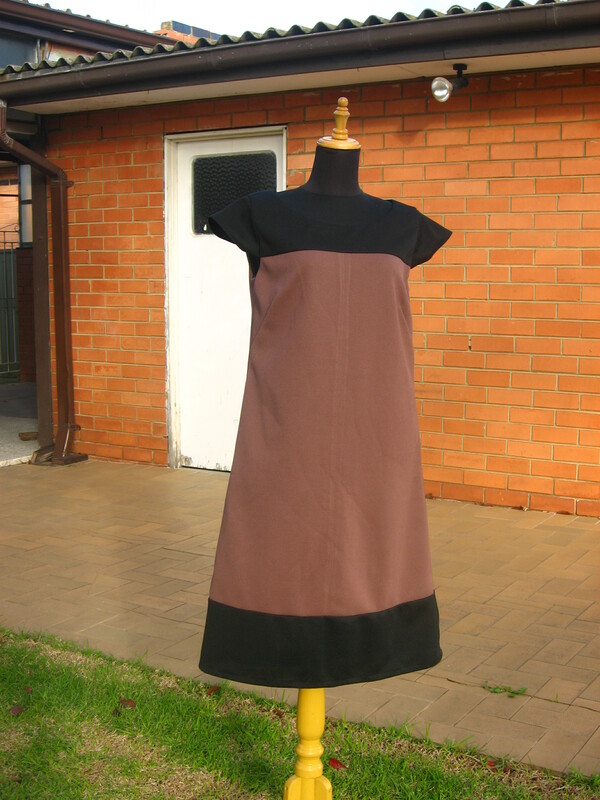 It’s a very easy dress to make, no zips or buttons or anything complicated. It turned out perfect! My thrifty vintage-fabric colour-block dress. Yay! Now I’m going to try and join Recycled Fashion‘s Friday Linkup, hopefully this works! Oh I am SO impressed. At your thrifty finds (what odds finding the perfect matching fabric?? ), your ability to make what you see in your head, and how it turned out. I love it. I’d wear it. Might be a good thing you are miles away now and I can’t raid your wardrobe! I love how this dress has turned out, it looks fantastic! I’ve enjoyed reading through your older posts and will be back. Fantastic! 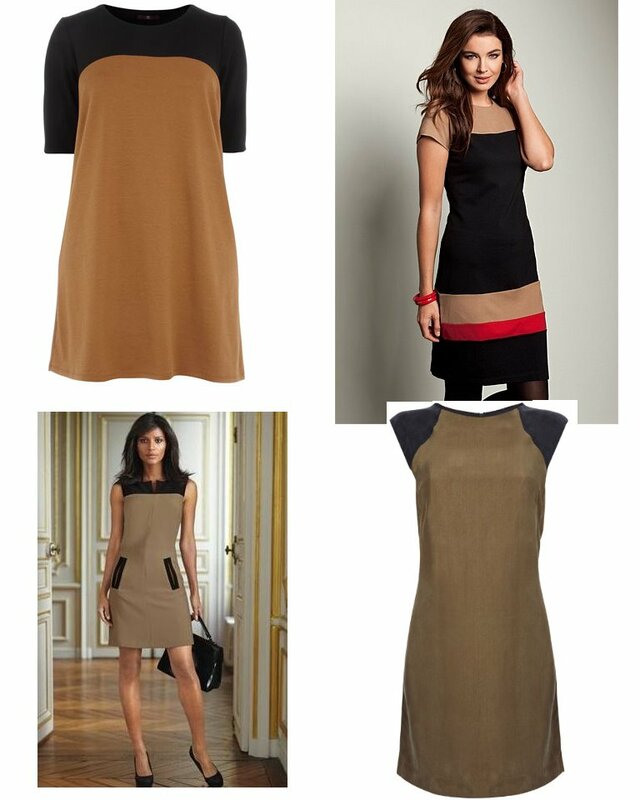 I really like this dress shape, it looks fantastic on you. Thanks for sharing on Recycled Fashion Finds, yes it did work! Would you also like to enter your outfit into BragYourBestBuys for a chance to win a $100 op shop voucher?! Good job! The dress really suits you and I’m loving those colours!